Japan is divided into 8 regions (Hokkaidō/北海道, Tōhoku/東北, Kantō/関東, Chūbu/中部, Kinki/近畿, Chūgoku/中国, Shikoku/四国, and Kyūshū/九州) and 47 prefectures. Each prefectures have an unique culture and charactaristic. In this page, we introduce famous sightseeing spots and its charactaristic such as local foods, unique culture, and festivals by each prefectures. More detailed information is written at the linked page. 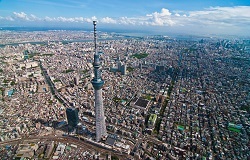 Tokyo is the capital and the largest megacity in the world. Almost all Japanese fashion and pop culture is generated in Tokyo, and there are central places of youth culture such as Akibahara and Harajyuku. On the other hand, you can enjoy Japanese traditional culture in Tokyo. Tokyo includes famous shrines and temples, beautiful Japanese gardens, and many art galleries and museum. Also, you can see kabuki and sumō in Tokyo. Furthemore, Michelin gives most stars to Tokyo in the world, so you can enjoy not only first-rate Japanese foods, but also cuisines from all over the world. Ōsaka is the second largest city in Japan and is known for its unique culture. 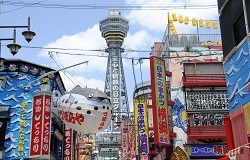 Eespecially, Ōsaka's food culture is developed uniquely, so there are many special cuisine that you can enjoy only in Ōsaka. Besides, large-scale urban renewal have been done lately in Ōsaka, and huge commercial buildings such as Grand Front Osaka and Abeno Harukas were built. Additionally, Ōsaka is an old capital in Jaoan, so Ōsaka includes many historic buildings. Also, Ōsaka prefecture is next to Kyōto and Kōbe prefecture, and it take within 30 minutes from Ōsaka station to each central station by train.